The vibrant student participation at Viborg Katedralskole in the wider life of the Danish community continues to delight and impress. The Danish election is on the 15th September and students are very actively engaged, in a variety of platforms, with the political dialogue of the nation. 2. Students clapped and cheered points well made. There was no heckling, booing or negativity, occasionally some laughter but in good spirit. There was friendly interaction amongst the politicians and laughter. Watching the two young politicians, sitting at completely opposite ends of the stage, interacting good naturedly, was wonderful. 3. Students had many questions and there was not enough time for everyone to make their points. It was a thoughtful process that Finn, a teacher, chaired. Colleagues, students and wikipedi have been helping me understand the Danish political system and the positions of the nine parties contesting the elections but I am sure my understanding will deepen during the course of next week, as the leadership of the country is decided. This is a great post, Darcy. A potential cure to the political apathy that seemingly permeates a generation of potential (disinclined to enrol) voters? The whole process was extremely positive and I personally believe that our communities would greatly benefit from the school system being more active in the democratic process. It seems obvious that all candidates being involved in a debate or discussion in a school would be a fair way to help the future generations of citizens understand the issues. What a delight! Can not think of a single reason why such an event would not work here. Democracy is so precious but we do so little to nuture. There is actually a fair bit happening already, although it’s probably more apparent in the country simply because local members are more apparent. I know Armidale best. The difficulty in a NSW context with the specific example you give is that there is something of a view – I am not sure of the present formal rules – that schools should not be involved in the political process. “The Controversial Issues in Schools Policy. eg. 1.1 Schools are neutral grounds for rational discourse and objective study. They are not arenas for opposing political views or ideologies. 1.1.2 Discussion of controversial issues is acceptable only when it clearly serves the educative purpose and is consistent with curriculum objectives. Such discussion is not intended to advance the interest of any group, political or otherwise. 1.1.5 Visits to schools by politicians, whilst welcome, are to be arranged consistent with protocols which are specific to particular occasions, as well as the role played by the politician in federal, state and local government. 1.1.7 Material of an overtly political nature or which is considered by the Principal to be inconsistent with the values of Public Education or the school’s purpose and goals must not be distributed on the school site. Your posts continue to make fascinating reading for learning about cultural differences in education systems and the resulting differences in discourses and practices. Bet your current colleagues would be amazed at you describing how such an event, while theoretically possible (could occur if approved by the Current State Minister of Parliament for Education and Community Services), it is rendered practically impossible by system constraints. Did you need to print out the NSW policy that would cover such an event to demonstrate you hadn’t misunderstood its intention? Such an event sounds quality teaching with high engagement, making the learning in school directly relevant to real life and social responsibility. I feel passionately about this issue and believe that education about our democracy in Australia could do with a rethink. The democracy I am witnessing is vibrant and students are engaged, often quite passionately (but in a civilised manner). The school system has an important part to play in the life of any democracy. Perhaps the Danish example I cite could be something of a model as it is very practical and ‘real world’. As you mention, it is ‘Quality Teaching’! Darcy, I love this post! * Community ignorance of politics is constructed by and best serves the needs of the political class, as it creates a permissive electoral climate where there is little public scrutiny of the ways in which we are governed and power distributed in NSW. If this is so, then the implementation of system wide reforms of the sort that you are seeing in Denmark would be highly improbable, so reform would only proceed at the school community level. * Community and student ignorance of the political process is the result of neglect and can be addressed by the planned, supported and systemic implementation of programs that brings politics into the school community, engaging students and teachers in the democratic process. Thank you Darcy for the factual information as to current rules. I love the idea that after learning about the current election and hearing candidates debate in the school, that the students are gathered on school premises to experience the counting and results of the election as they happen. – (Not so sure about the messages of showing the ‘tally room’ in a location usually taken up with a boxing ring even though the concept brings a smile). What an amazing experience to forefront how learning is connected to real life and enabling an activity that provides preparation for students to participate in elections (and the country’s democracy) in an informed way when old enough..
Will follow with interest your reflections on how you and the students perceive (and behave) throughout different stages of this engagement with a real life learning. Thanks for your interest, i appreciate your efforts to discuss what is, I believe, a fundamentally important issue. There is an event at the school on election night. I might ask one of the students to post an explanation here with the detail. Being one of the students, Darcy (or Mr. Moore – when in Rome do as the Romans do) requested me to explain the event on election night. And I will, but allow me to begin somewhere else. I think that the democratic system of Denmark is unique, because it reaches much further than just the parliament. The school is a great example. We have a principal and a school board. It is their responsibility to lead the school, but in the same way that a prime minister is responsible for leading a country. It must be in accordance with both the teachers and the students. I am the president of the student’s council at Viborg Katedralskole and I will testify that the students have ACTUAL influence. The school is nothing without the students. Danish people know this – both in the principal’s office and in the canteen between two classes. We have a democratic angle on not just politics, but the way we interact with each other – everywhere in society. I personally believe that young people grow as they are trusted with responsibility. Danish students mature by being faced with reality. Keeping politics out of schools is a disservice, because THE WORLD is politics. And the school is supposed to prepare the students for the world, right? Another example is the event “Poltisk Fight Night” that Darcy refers to. This was arranged by the student’s council from bottom to top. The principal knew about the general concept because we told him about it, but we decided who to invite and how to run the night. Completely. The principal, the management and some of the teachers were there and enjoyed the night, but played no actual role. This makes young people grow – being trusted with responsibility. The event was a huge succes that went straight to the local news paper’s front page and more than 400 people attended – it was a Sunday night, by the way. It is arranged by the school’s teachers in social studies, and everyone who follows this subject (the majority of the school) is invited. 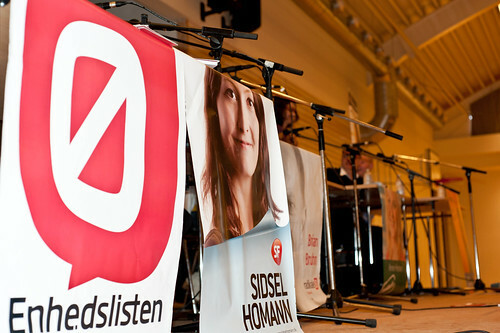 All of the different classes “represent” one of the nine Danish parties – whether one agrees with the party or not. During the night, we all have to analyse the events of the election and argue the points of “our parties” whilst following the election together. Some classes have ordered posters from “their party”, some are going to cook “political food” and so on. 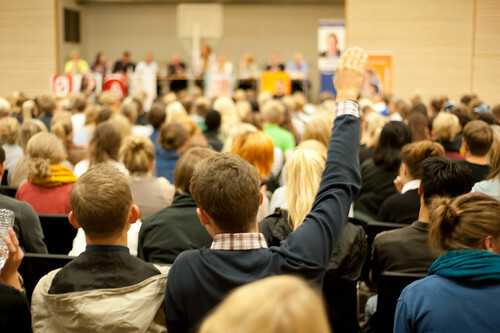 Because the students are very interested in politics, this event is actually quite popular – even though it is situated in the evening and one is not obligated to be there. The few students who have to work that specific night are disappointed and many even tried to switch with a colleague so that they could attend the election night at the school. Remember, all of the above is completely voluntary. I hope (and believe very strongly) that Denmark has something unique that other countries can learn from. But I also believe that we can learn from others – therefore it has been quite inspiring to meet Darcy and talk to him about schools, social media and blogging. New and different perspectives are extremely important. Just to start, A fabulous day of 28 degrees here in Sydney for start of Spring and local time of post 8:30 ish pm. Thank you for joining our learning community and providing us, as you rightly point out,with that all important student voice. Darcy’s posts make very interesting reading that enable us to question our own practices (those in which we are so located as we live them every day as natural) that we can often mistake for being universal. Learning about and questioning differences across eras and, within the same times, culture, help us to challenge how we contribute to the society we want. A note on the program and a note for you. The program sounds fascinating and I look forward to seeing, live posts (Vid? if possible) from you and other students on the experience and learning. I am particularly interested in how students take up and how they support/cheer on positions they are not necessarily in agreement with. While I am loving the process of the program, I still have some discomfort about the imagery and the title, so help me unpack. As someone who has spend most of her life promoting participation and equity along with promoting ways of standing up to, and turning our back on violence, I am always discomforted when programs use names and terms generally associated with violence (imagery: a boxing ring and language:“Poltisk Fight Night”). If participation in democracy is a peaceful alternative to violence, why use the language of violence? It is similar when terms of violence are used in programs to prevent violence such as tackling or fighting bullying. Thank you. Your post got me thinking about; where we are at in my current school in really giving students a voice that we listen to. I am now working on focus questions to ask a range of students (aged 7 -12 years) on the qualities of teachers that make a difference. It’s a start. By the way, international learners never judge a post by spelling or grammar (yours was probably better than mine late night) as we read for meaning and are generally aware and in admiration of posts in a second language. As a young leader, I found participating in international opportunities for learning about leadership across cultures and systems of other countries valuable and sometimes confronting (especially to my beliefs about human rights and social justice). 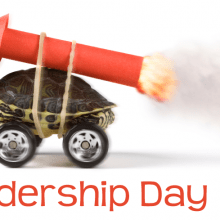 As a result, as an older leader I continue to participate in international leadership communities and cross discipline communities to continue deepening and broadening my learning. 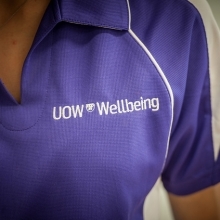 There a lots of programs out there for you to engage with if you are interested. Looking forward to Danish election night, for the first time in my life! 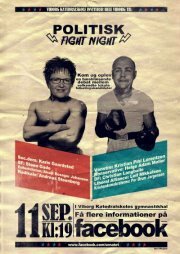 “Politisk Fight Night” and the event on election night were two different events. The Fight Night was arranged by the students whilst the event on election night was arranged by the teachers. I disagree that the concept of “Politisk Fight Night” was improper. The scene resembled boxing match, but the content didn’t. I believe that the young and different concept was exactly what made “Politisk Fight Night” a huge success. In my wildest dreams, I can’t imagine that the audience felt that fighting for your beliefs with violence was being legitimated. Fighting is an essential aspect of being an engaged citizen – as long as the fight is not violent, of course. I am happy to hear that you are giving the students a voice. 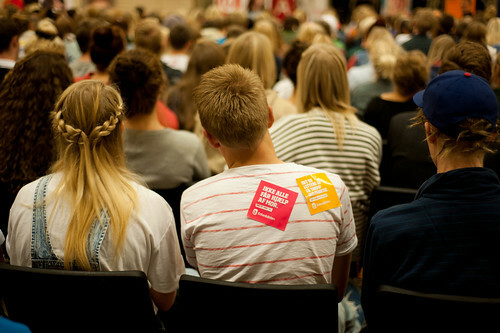 At Viborg Katedralskole, the students are mostly between 16-19 years old which of course makes for even more influence. Reading Darcy’s blog has certainly been interesting. Being the president of the student’s council, I myself am very interested in leadership and I am keen to learn more about it. I think that the event on election night was a mixed success – the beginning was great and the students were enthusiastic, but I was sorry to see that most students went home before the result of the election was final. Admitted, it was a school night, but an election is something very special. We are (unfortunately, if you ask me) now going to have a new government than the one we’ve had for ten years. I agree with Aleksander about, what I would call, the ‘branding’ of ‘Politisk Fight Night’. The evening was brilliant organised and part of this was the advertising imagery and using Facebook to send out invitations. I know the rector, Helge, was very impressed with the quality of Mads and Aleksander’s moderation/questioning of the candidates. It was a quality event and IMO organisationally ‘best practice’. I would happily employ the student organisers for ‘my company’ if an event was needing to be promoted and run. Thanks Aleksander (and Alexandria) for your comments. I love this. My wife saw me reading this, she commented, ‘even though young people don’t vote?’ Such a cultural change. I would love to see this is our schools. I am currently in the middle of lectures on empathy, teaching values, civics and citizenship and your experience is going to open so many eyes (why should teachers get involved? 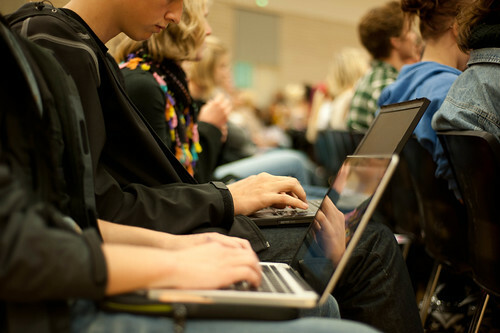 Why get students involved in political debates? Won’t that get you in trouble? There is no place for politics in a school!). Thanks Darcy! I’m a year 12 student and a member of the ALP. It’s true that there is not enough political interest in school and evidently a growing social ignorance towards government. There is viscous ideological segregation in area’s of NSW young labour, this appears to be an early deterrent to political growth. Although this a single party perspective, I am sure that the constructs of ‘right’ and ‘left’ wing views are existent across the board. I believe that the apparent tolerance of 9 political parties is a cultural change, which we are in much need of. Liberal, Labour, Green, Independent. Coles, Woolworth’s, Green grocer, Butcher.